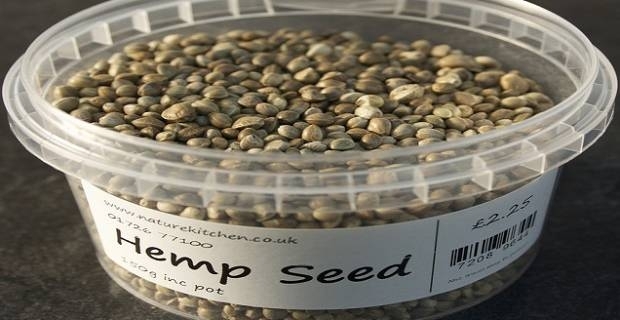 Hemp seeds are produced by the hemp plant from the Cannabis sativa family. 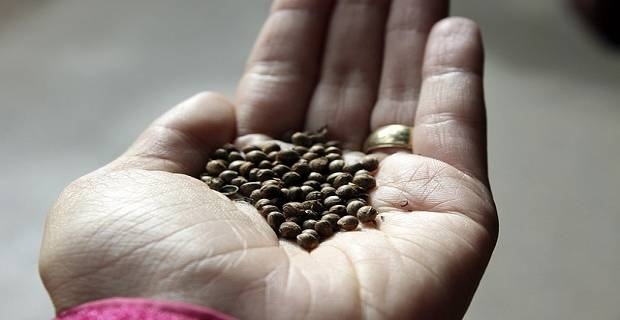 Technically, a hemp seed is not really a seed but rather a fruit. Hemp “seeds” are small and round with mild nutty flavour much like pine nuts and crunchy, soft texture more like sesame seeds. Here’s why you should add hemp seeds to your “must eat” list of foods, especially if you are a veggie/vegan looking for a complete source of proteins. Hemp seeds contain an ideal 3:1 ratio of omega-6 to omega-3 fat perfect for healthy human life. The omega-6 constituent of the seeds contains a special type of fat called gamma linolenic acid (GLA) that is especially beneficial and not typically found in other foods. GLA helps in building good anti-inflammatory hormones and supports healthy metabolism. Additionally, GLA facilitates fat burning and is particularly beneficial if you struggle with weight loss. Adding a little GLA to your diet can quickly reward you with a significant weight loss boost. Hemp seeds are a great source of easily digested, biologically available proteins. The seeds have a full amino acid spectrum, including all 10 essential amino acids. This means hemp seeds provide the complete protein. If you are allergic to soy, hemp seeds are the ideal vegan alternative. Just 3 tablespoons of hemp seeds will give you an equivalent of 11 grams of protein! Hemp seeds are also rich in disease-fighting, plant-based phytonutrients and anti-aging antioxidants, including vitamin C, E, B1, B2, B3 and B6. Moreover, hemp seeds have a high trace mineral content, including zinc, phosphorous, magnesium, calcium and iron. This makes the seeds one of nature's top superfoods. Hemp seeds have a pleasant, mild and unobtrusive flavour that can easily hide out in a wide range of meals. Simply sprinkle hemp seeds directly onto your salad and enjoy with the kids. Alternatively, mix a handful of organic hemp seeds (de-hulled or whole) with juice/fruit of your choice in a blender and enjoy. Or, perhaps, sneak hemp seeds into vegan/vegetarian oatmeal, chili, pureed bean or vegetable soups. The choice is yours.